The first performance results of AMD’s upcoming Radeon Pro Duo graphics card have been posted by Expreview. 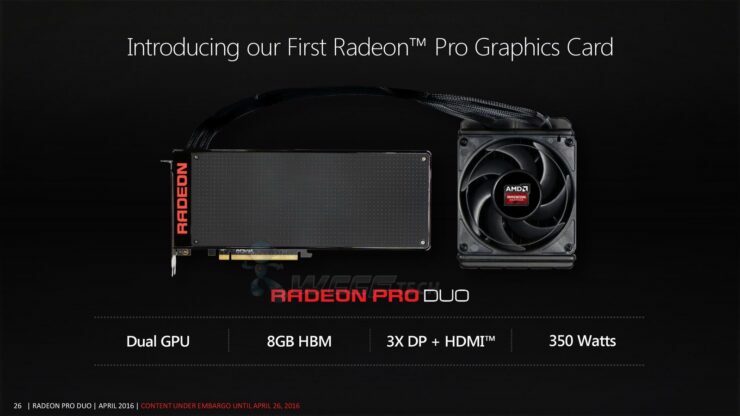 AMD’s flagship graphics card, the Radeon Pro Duo launches tomorrow and we mostly know everything about the card aside from the performance numbers but those have also been revealed by Expreview. The Radeon Pro Duo powered by dual Fiji chips is an insane graphics card. Now we know that you are excited to see the performance numbers but let’s just do a quick recap of AMD’s internal specifications and performance estimates. 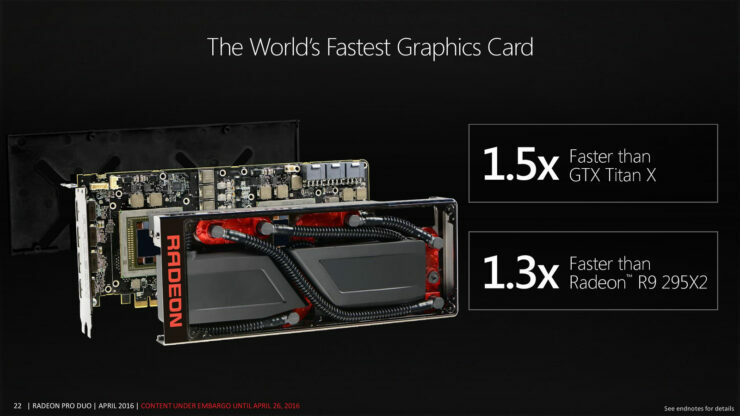 In their official slides, AMD said that the Radeon Pro Duo will be 1.3x faster than the Radeon R9 295X2 (Dual Hawaii) and 1.5X faster than the GeForce GTX Titan X (GM 200). 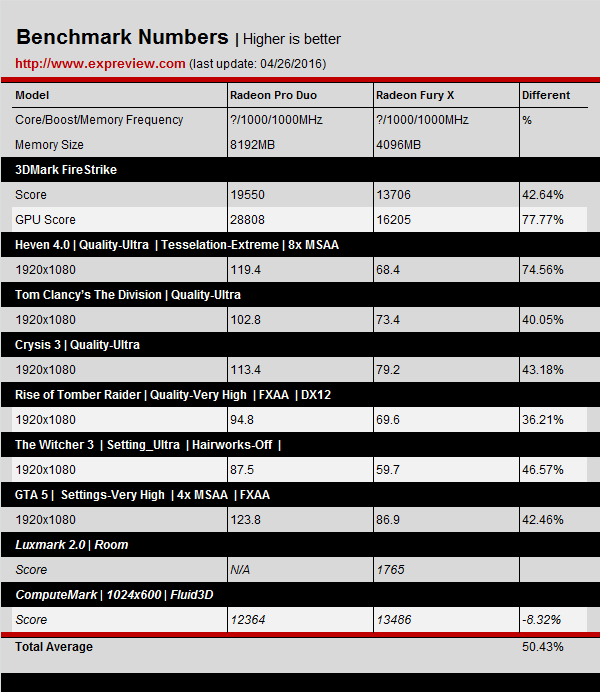 The performance results posted by Expreview will let us know whether these claims from AMD are true. The Radeon Pro Duo comes with dual Fiji GPU cores that are clocked around the same specifications as the Fury series cards. The Radeon Pro Duo comes with two Fiji XT cores (128 compute units), each chip comprising of 4096 shaders that adds up to 8192 on the card itself. Each core has 64 raster operation units and 256 texture mapping units while the core clock is maintained up to 1000 MHz. 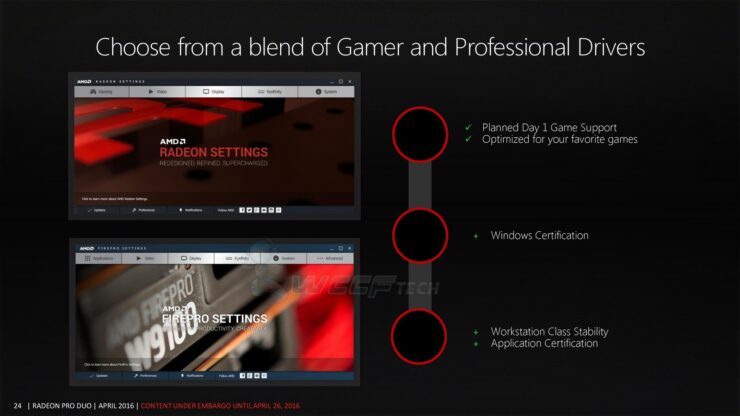 AMD’s official slide deck for the Radeon Pro Duo reveals some interesting features. With the mention clock speeds, the Radeon Pro Duo has a total of 128 ROPs and 512 Texture Mapping Units which deliver 512 GT/s texture fill rates and 128 GP/s Pixel Fill rates. 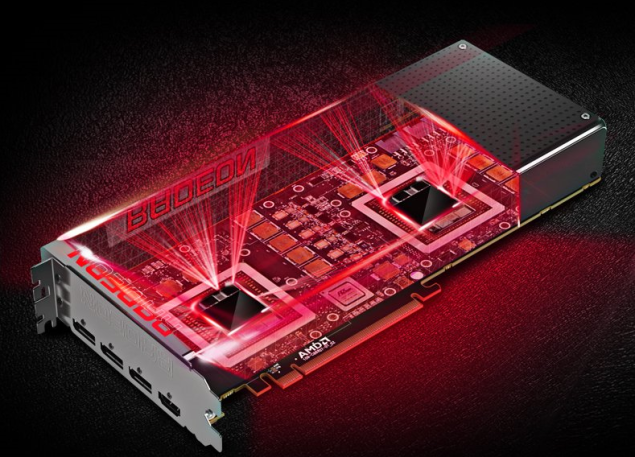 The card is a beast designed to power 4K gaming and professional content and features AMD’s Liquid VR and FireRender technologies for the best app-level support. The specifications of the Radeon Pro Duo reveals its several TFLOPs of crunch power! 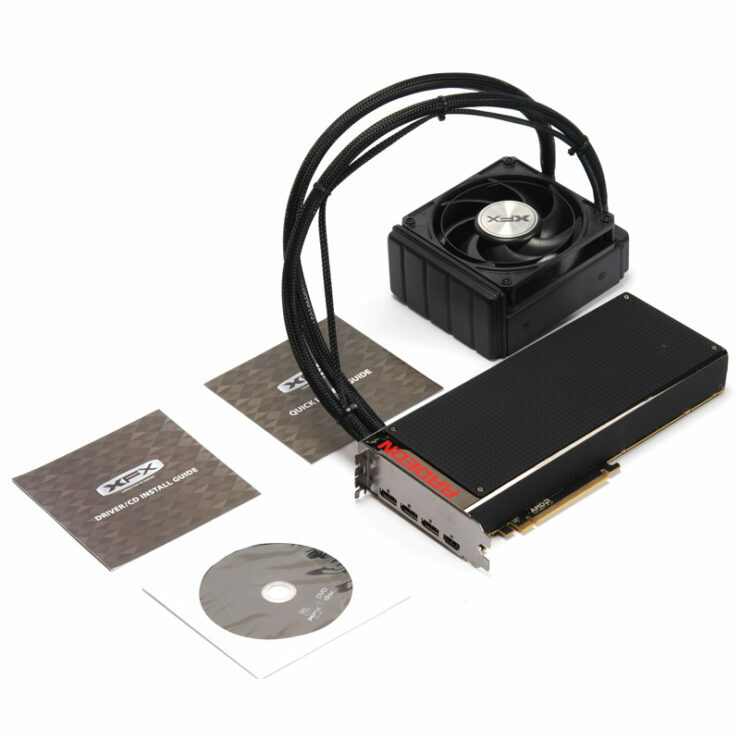 This allows the card to deliver 16 TFLOPs of 32-bit single precision compute which is currently the highest any graphics card could offer. 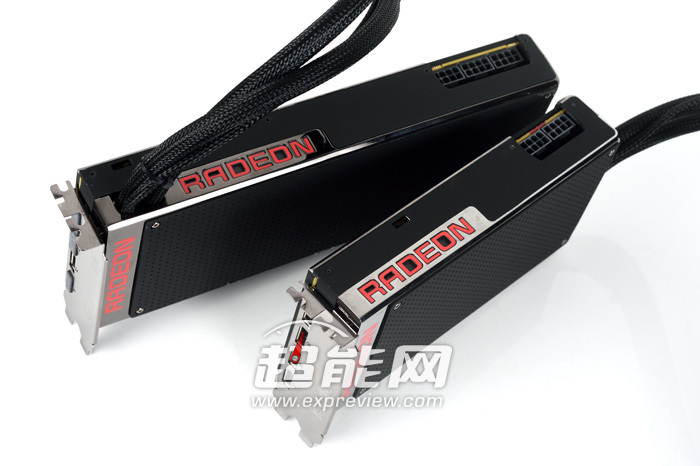 The dual Fiji GPUs really form a great duo as a FP32 oriented compute card but at the same time, lacks FP64 hardware which isn’t available on Fiji GPUs. 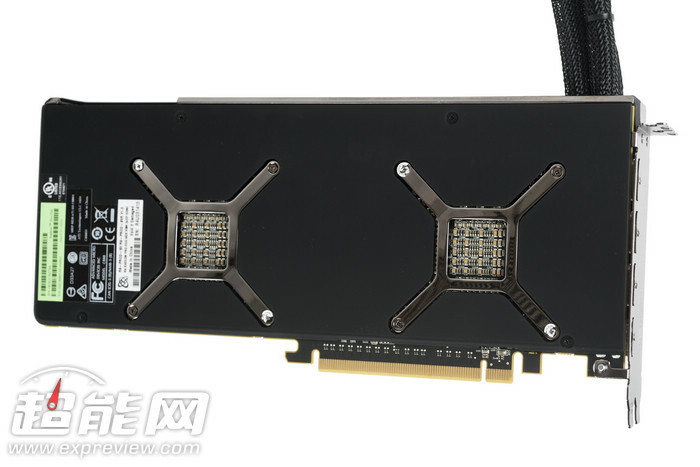 On the memory side, we are looking at the first workstation class graphics card that comes with HBM memory. 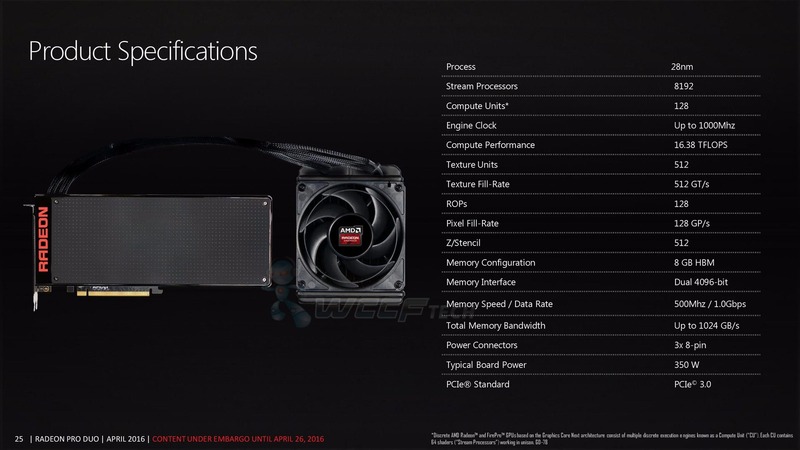 The first generation memory is clocked at 500 MHz to deliver 512 GB/s bandwidth. 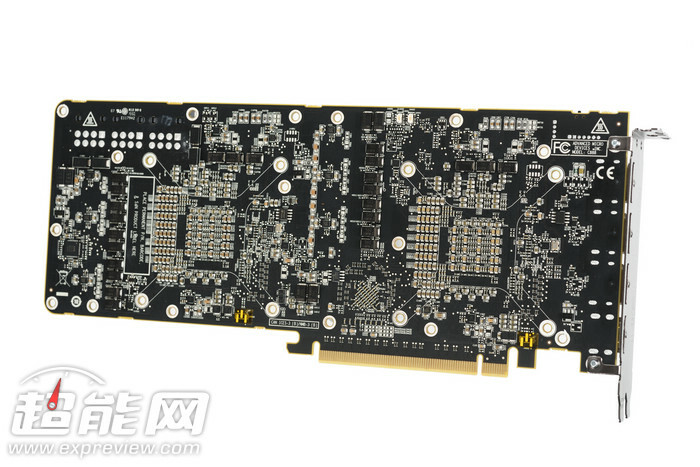 Each GPU comes with 4 GB HBM VRAM that operates along a 4096-bit wide memory interface. Theoretically, applications designed for the workstation specific workloads can harness the 1 TB/s bandwidth off of the both chips (512 GB/s each). 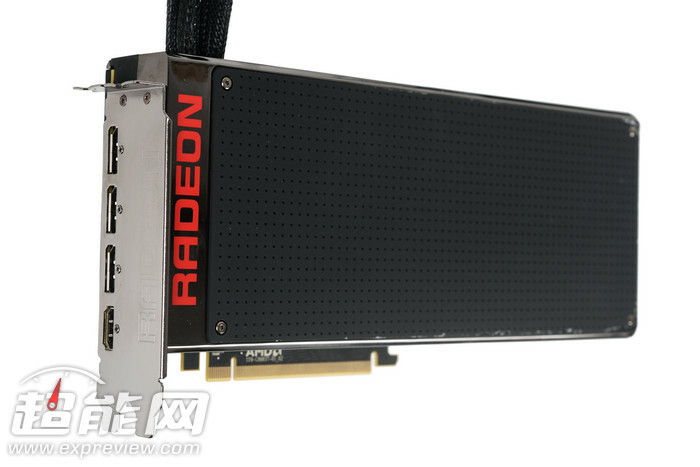 The AMD Radeon Pro Duo is a really fast graphics card and as such requires three 8-Pin PCI-Express power pins to boot it up. The TDP of the card is 350W which is around the same wattage we should expect from dual-chip cards. 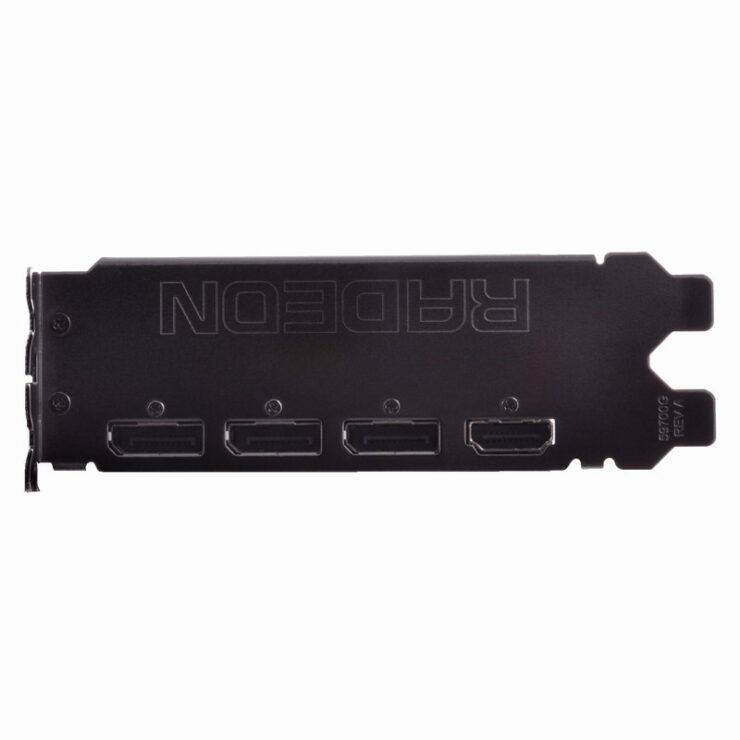 Display outputs include four Display Port connectors. The card will be retailing at a price of $1500 US on 26th April. 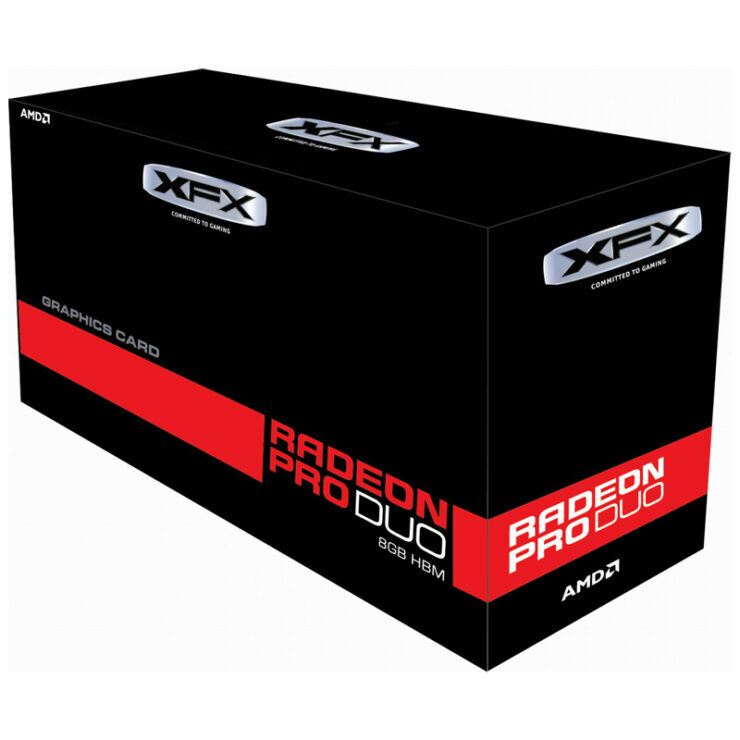 Do note that the AMD Radeon Pro Duo will have limited shipments and thus availability will be low since this is a special enthusiast-grade product. 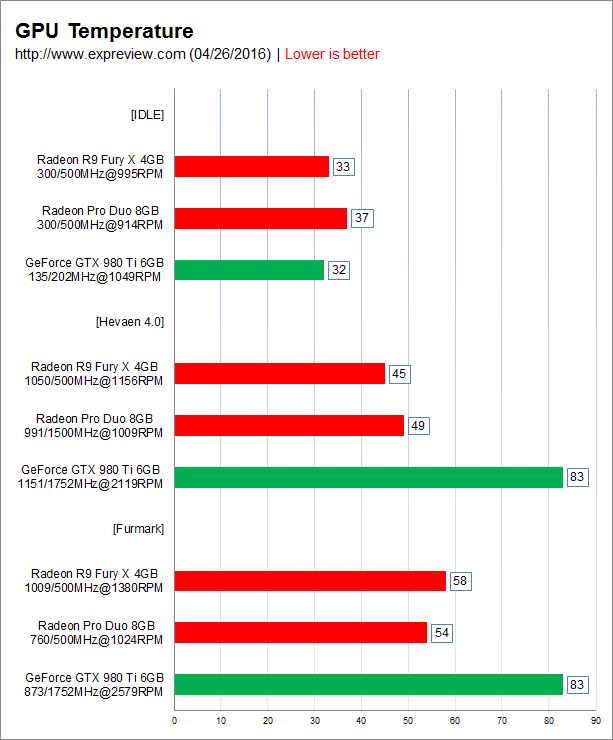 As you can see from the performance results, the card is up to 50% faster than the Radeon R9 Fury X at 1080P and 60% faster than the Fury X at 4K resolution. Compared to a reference GeForce GTX 980 Ti, the Radeon Pro Duo is 32% faster at 1080P and 60% faster than the GeForce card at 4K resolution. These results are insane and shows the muscles of AMD’s grandest graphics card to date. Cooler Master and AMD designed an elegant and enthusiast-grade cooling solution for the Pro Duo. 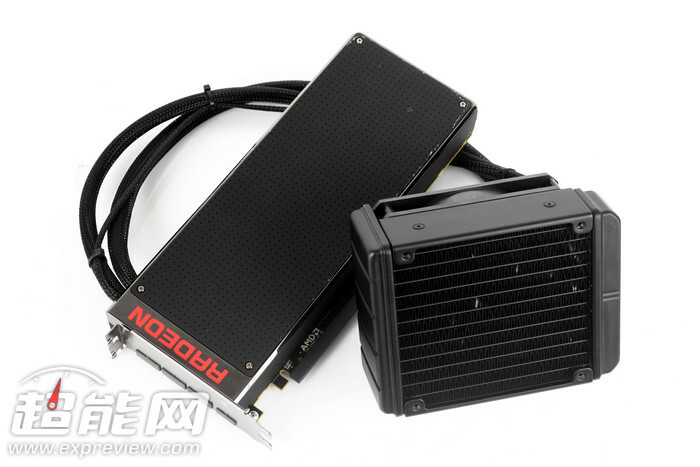 The graphics card not only runs great but performance at almost the same temperatures as the Fury X thanks to the enormous water cooling solution embedded within the cooler shroud. Power consumption is also steady at 293W under gaming load compared to 272W of the GTX 980 Ti (overclocked). 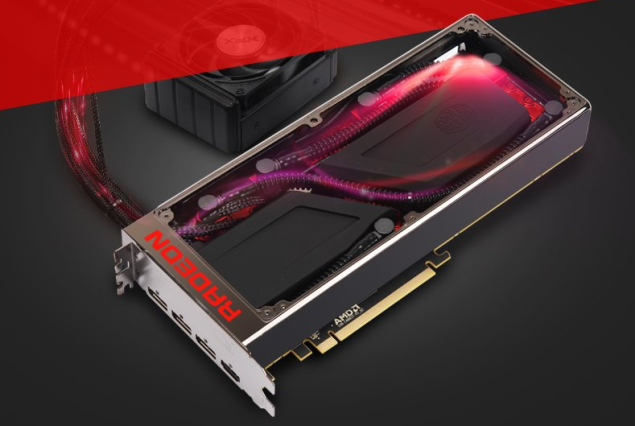 The AMD Radeon Pro Duo is a great card for gamers. It does come at a high price of $1500 US but that is easily justified thanks to a 50% performance up lift over the fastest solutions available to date. 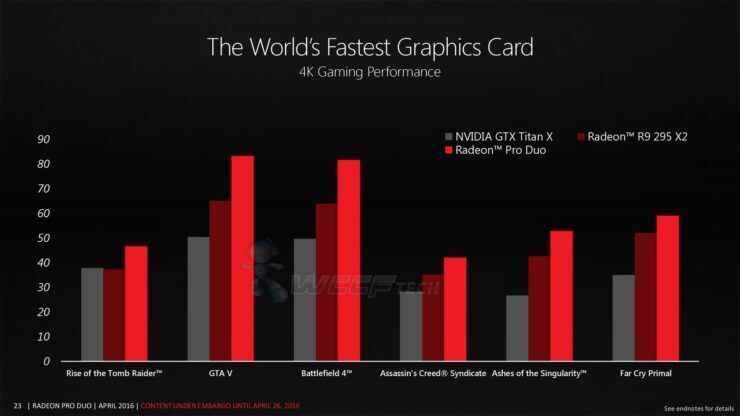 The 4 GB VRAM per GPU doesn’t restrict its performance in 4K gaming and it shows it true muscles at that resolution. While multi GPU support in games is not at its all time best, there is still some hope with upcoming DirectX 12 titles. 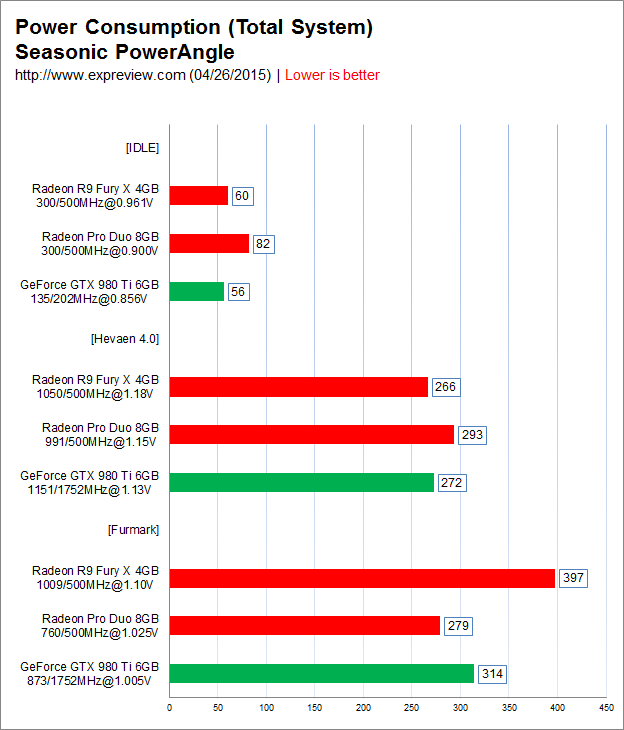 Also the Radeon Pro Duo’s performance doesn’t mean that the Fury X and 980 Ti are bad cards. Both cards retail at around $599 US which is significantly lower than than the price of a single Pro Duo. It’s cheaper to SLI or CFX the single chip cards but the Radeon Pro Duo seems like a great option for those building single GPU PCs with lots of power. If 4K isn’t a good enough reason for you to be spending over a grand for the Pro Duo, then you should know that VR is also on the horizon which demands serious horsepower. 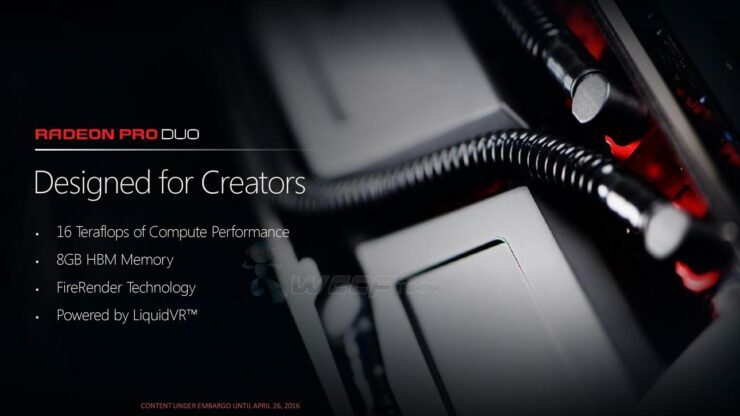 The Radeon Pro Duo with its dual Fiji GPUs and LiquidVR technologies is a card that can be a great solution to power VR Gaming and VR content development. Be Fearful When Others Are Greedy – Are Tech Stocks Overcooked?